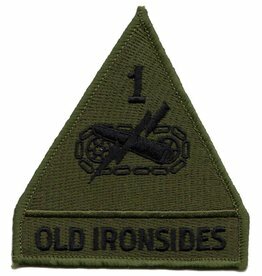 Embroidered Subdued 1st Armored Division Emblem Patch "Old Ironsides". Iron on or sew on. 3.3" wide x 3.7" high. 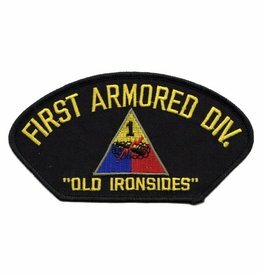 Embroidered 1st Armored Division Patch with Emblem and Motto. Iron on or sew on. 5.3" wide x 2.8" high.